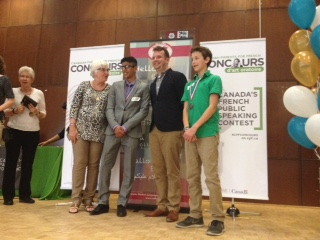 Congratulations to Danyaal Irfan for finishing second in the province in the Concours d'art oratoire French Public Speaking Contest. Félicitations, Danyaal. Nous sommes fiers de toi.